The history and archaeology of Mongolia, most famously the sites associated with the largest land empire in the history of the world under Ghengis Khan, are of global importance. But they're facing unprecedented threats as climate change and looting impact ancient sites and collections. Climate change and looting may seem to be unrelated issues. But deteriorating climate and environmental conditions result in decreased grazing potential and loss of profits for the region's many nomadic herders. Paired with a general economic decline, herders and other Mongolians are having to supplement their incomes, turning to alternative ways of making money. For some, it's searching for ancient treasures to sell on the illegal antiquities market. The vast Mongolian landscape, whether it be plains, deserts or mountains, is dotted with man-made stone mounds marking the burials of ancient peoples. The practice started sometime in the neolithic period (roughly 6,000-8,000 years ago) with simple stone mounds the size of a kitchen table. These usually contain a human body and a few animal bones. Over time, the burials became larger (some over 400 metres long) and more complex, incorporating thousands of horse sacrifices, tools, chariots, tapestries, family complexes, and eventually treasure (such as gold, jewellery and gems). For Mongolians, these remains are the lasting reminders of their ancient past and a physical tie to their priceless cultural heritage. Mongolia has reasonably good laws regarding the protection of cultural heritage. But poor understanding of the laws, and the nearly impossible task of enforcing them in such a large space with relatively few people and meagre budgets keep those laws from being effective. And laws can't protect Mongolia's cultural heritage from climate change. The looting of archaeological sites in Mongolia has been happening for a very long time. Regional archaeologists have shared anecdotes of finding skeletons with break-in tools made from deer antlers in shafts of 2,000 year old royal tombs in central Mongolia. These unlucky would-be thieves risked the unstable sands collapsing in the shafts above them for a chance at riches, not long after the royal leaders had been buried there. 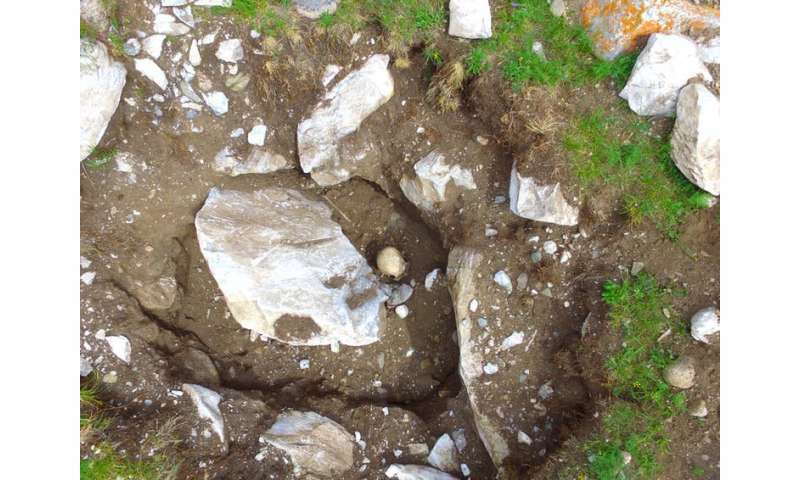 But many recent pits dug directly into burial sites around Mongolia, some that are more than 3,000 years old, suggest modern day looting is on the rise. For the untrained looter, any rock feature has the potential to contain valuable goods and so grave after grave is torn apart. Many of these will contain no more than human and animal bones. Archaeologists' interest in these burials lie in the information they contain for research, but this is worthless on the black antiquities market. But to steer looters away from these burials would be to teach them which ones to target for treasure and so this strategy is avoided. Archaeologists working in northern Mongolia in 2017 found hundreds of looted sites, including an 800 year old cemetery consisting of at least 40 burials. Each and every one of them had been completely destroyed by looters looking for treasure. Human remains and miscellaneous artefacts such as bows, arrows, quivers, and clothing were left scattered on the surface. Having survived over 800 years underground, these priceless bows, arrows, cloth fragments and bones likely have less than a year on the surface before they're gone forever. This is not to mention the loss of whatever goods (gold, silver, gems) the looters decided was valuable enough to keep. Archaeological teams are currently working against climate change, looters, and each other for the chance to unearth rare mummies in the region that are known to pique public interest within Mongolia and abroad. A 2017 exhibit at the National Museum of Mongolia featured two mummies and their impressive burial goods—one of which had been rescued from the hands of looters by archaeologists and local police. Though they appeared not to have been particularly high ranking individuals, their belongings displayed incredible variety, artistry and detail. 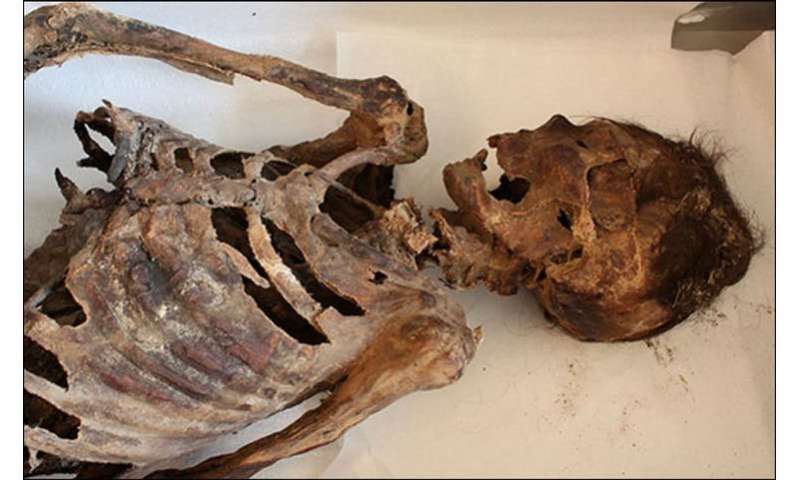 The result of natural processes rather than intentional mummification as in ancient Egypt, some of these mummies are preserved by very dry environments protected in caves and rock shelters. Others are ice mummies, interred in burials that were constructed in such a way that water seeped in and froze—creating a unique preservation environment. Both preservation environments produce artefacts that rarely survive such long periods of time. This includes human tissues like skin and hair, clothing and tapestries, wooden artefacts, and the remains of plants and animals associated with the burial. As looters zero in on these sites, and climate change melts ice and changes the environmental conditions in other yet unknown ways, archaeologists are racing to locate, and preserve these finds. But with little infrastructure, small budgets and almost no specialised training in how to handle such remains, there's some concern about the long term preservation of even those remains archaeologists are able to rescue. Efforts to provide training opportunities, international collaborations with mummy experts, and improved infrastructure and facilities are underway, but these collections are so fragile there is little time to spare. The situation in Mongolia could help us to understand and find new solutions to dealing with changes in climate and the economic drivers behind looting. Humans around the world in many different times have faced and had to adapt to climate change, economic strife and technological innovations. There's truth represented by a material record of the "things" left by ancient peoples and in Mongolia, the study of this record has led to an understanding of the impact of early food production and horse domestication, the emergence of new social and political structures and the dominance of a nomadic empire.